My son Sören is three years old and is already growing up to be a typical Bend kid, spending lots of time outside. 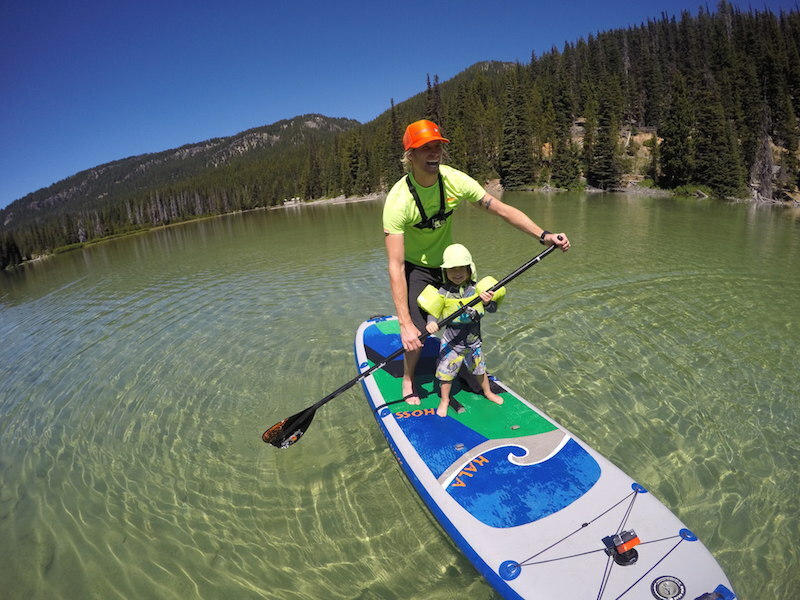 He’s very brave and dives right into new experiences, whether we’re skiing, skateboarding, biking, swimming or paddling. 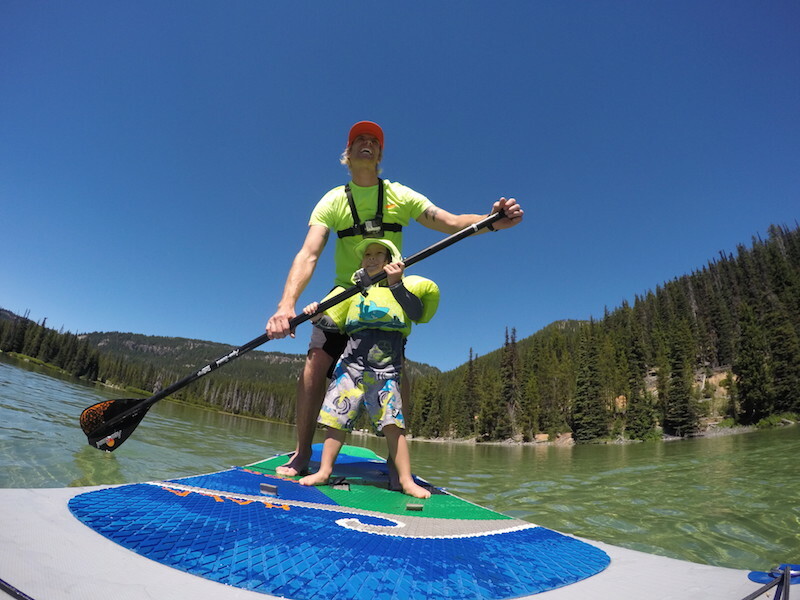 On a hot, sunny day this summer, my son Sören and I loaded our stand up paddleboard in the car, packed a lunch and drove to Devil’s Lake for a little dude outing. Devil’s Lake sits down off the road, surrounded by a forest of trees. 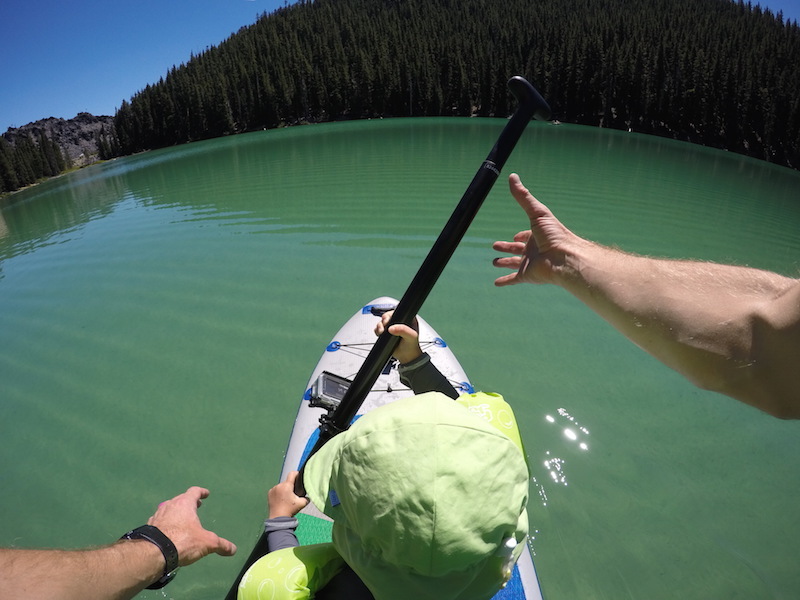 It’s my favorite lake in the Cascade Mountains because of its beautiful vivid turquoise color. 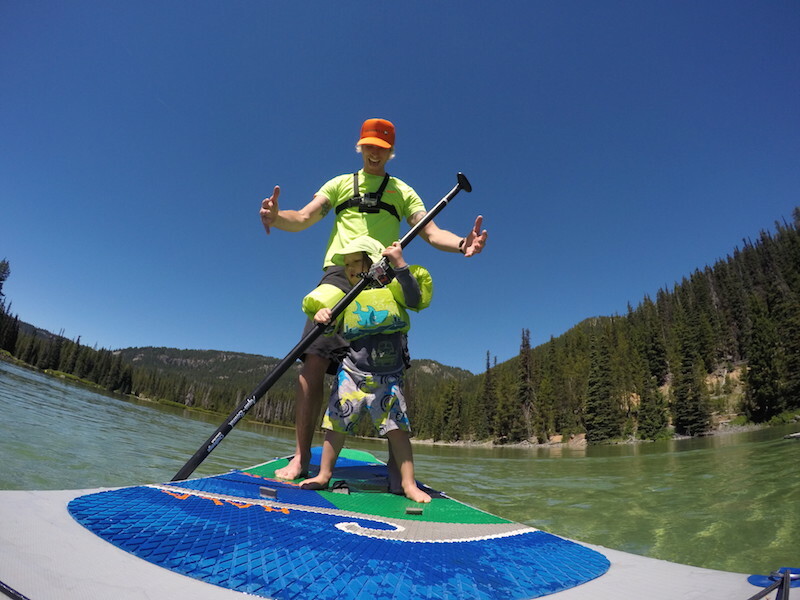 After a short drive up Cascade Lakes Highway, we hiked the paddleboard down to the water. 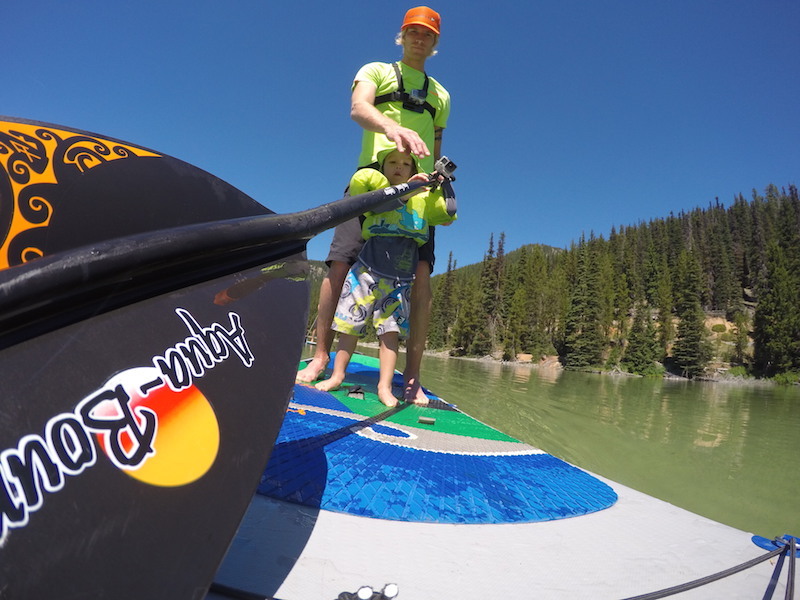 While I set up the board with GoPros, Sören jumped in and out of the lake. Even in the middle of summer, the water is extremely cold, but it didn’t seem to bother him. I set up a few of my GoPros so I could catch every moment of the day at Devil’s Lake with him. I used the time lapse function to take photos every second, making sure that it captured candid moments that I like to remember. 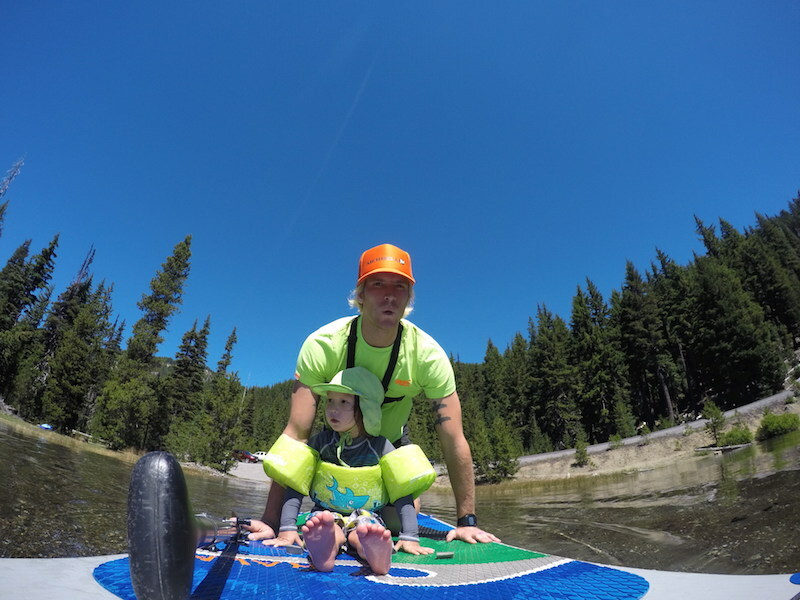 We pushed the board onto the water and started paddling around the lake. Just a few minutes in, Sören lost his balance and fell into the water. He popped up and looked at me with huge eyes, shocked by how cold the water was. But he got right back on the board and kept paddling. 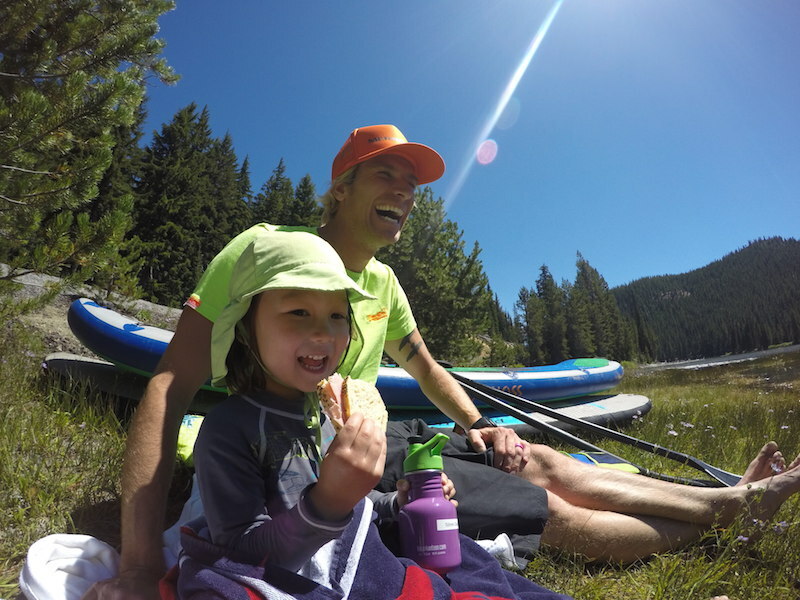 We paddled around for a little bit longer, soaking up the warm sun, until Sören was ready for our lunch back on shore. Days like this are so important in my family. 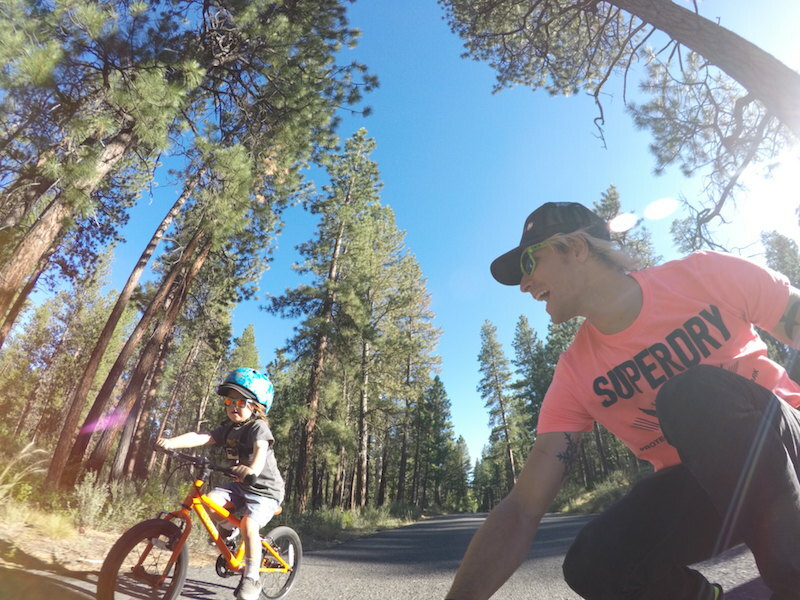 We live in Bend because of the quality of life, being surrounded by nature and having access to the mountains and trails and lakes. 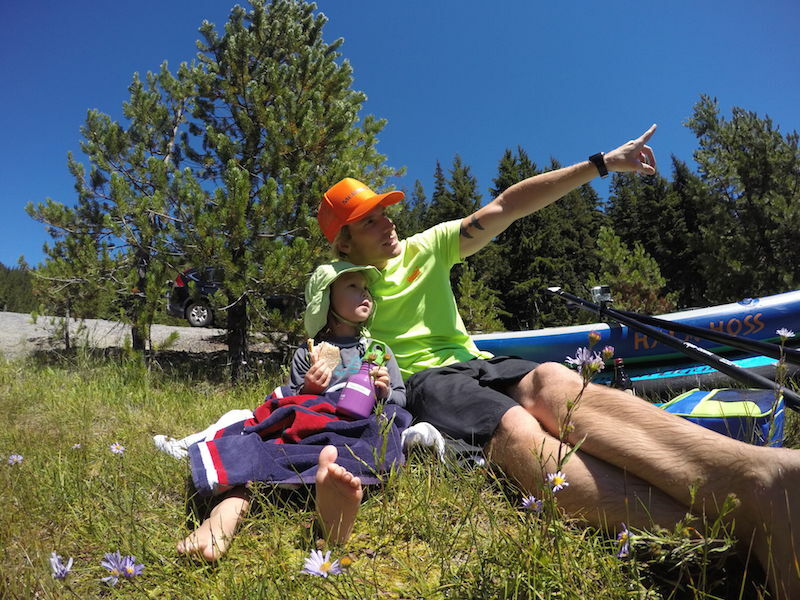 Getting outside every day reminds us of the incredible place we get to live and how to experience these simple pleasures of life, like spending a day on a lake, surrounded by mountains and sharing a meal with our family. I’m really excited for Sören to grow up and to go on more of these adventures with me.